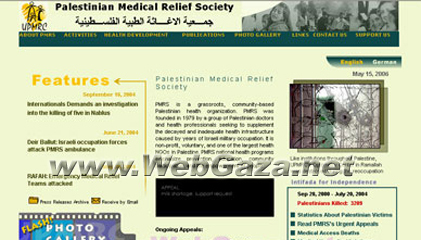 Palestinian Medical Relief Committees - What is PMRS? The Union of Palestinian Medical Relief Committees (PMRS) is a grassroots, community-based Palestinian health organization. PMRS was founded in 1979 by a group of Palestinian doctors and health professionals seeking to supplement the decayed and inadequate health infrastructure caused by years of Israeli military occupation. It is non-profit, voluntary, and one of the largest health NGOs in Palestine. PMRS's national health programs emphasize prevention, education, community participation, and the empowerment of people.